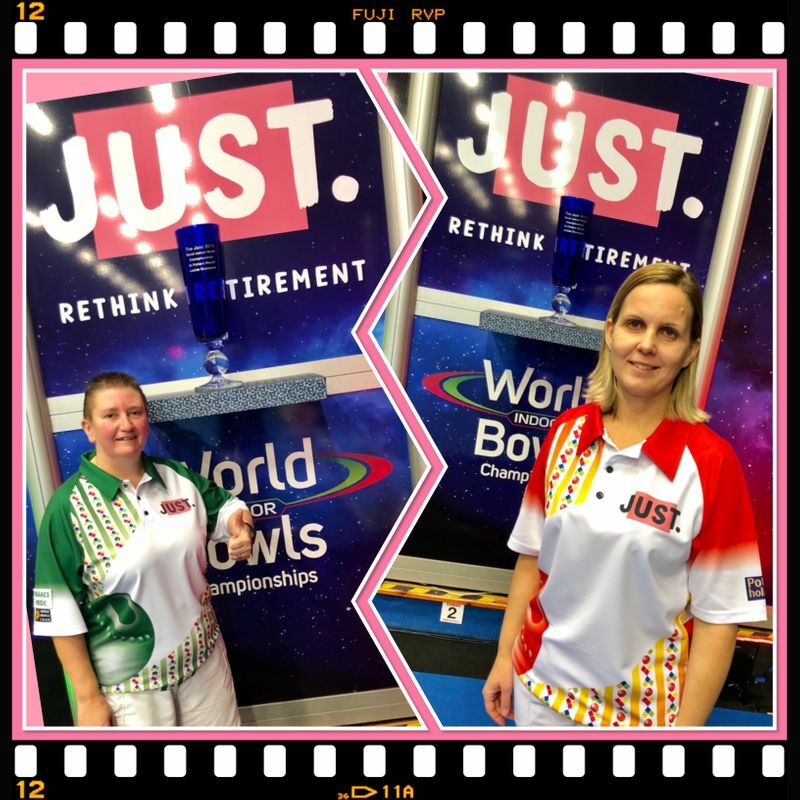 Former champions Alison Merrien MBE and Ellen Falkner complete Wednesday’s semi-final line of the Just Women’s World Matchplay Singles. Guernsey’s Ali Merrien who won the title in 2011, overcame a slow start in the opening set. She found herself trailing Kiwi Helen Carman from Dunedin 4-0 after just two ends but then found her rhythm and nailed her place with a 10-5, 12-4 victory. Standing between her and a place in the final will be Ellen Falkner from the City of Ely club. Falkner will have the same dream as Katherine Rednall who is in the other half of the draw – both have already won this title three times and will have thoughts of a record setting fourth success in their sights. Falkner came up against Bowls Commentator Janice Gower who is a member of the Newtonhall Club in Blackpool and what a performance they gave, keeping the audience on the edge of their seats throughout. In a dramatic scoring pattern, Gower, the No 1 ranked lady player on the Professional Bowls Association circuit, won six of the nine ends in the first set but lost 9-7 and looked to be pushing the match to a tie break when she led 9-2 with just four ends remaining. However with two shots against her that would virtually have put the set result out of reach, Falkner played a sensational runner to an off centre jack and when the dust settled, found herself holding a full house of four shots to cut the deficit to 9-6. That count gave her a confidence boost and she counted a 1, 2 and 2 over the last three ends to seal the verdict 11-9. Tomorrow (Day 10), the fourth last singles match involves three time champion Andy Thomson, the number 15 seed and Norfolk’s own Wayne Willgress. In the afternoon, the Mixed Pairs semi-finals will be decided with holders Lesley Doig and Jamie Chestney in the frame to retain the title. They meet Helen Carman and Nicky Brett with Falkner and Gower once again going head to head. They partner Rob Paxton and Paul Foster MBE respectively. There will be NO evening play. E Falkner (Eng) bt J Gower (Eng) 9-7, 11-9. ** NB Semi-Finals Wednesday .